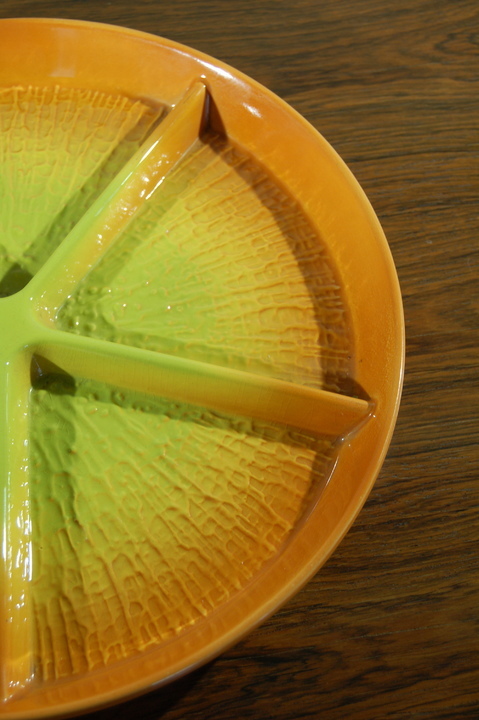 Great example of Carlton Ware Skye serving dish, circa 1968-1969, divided into 5 compartments for nibbles etc. 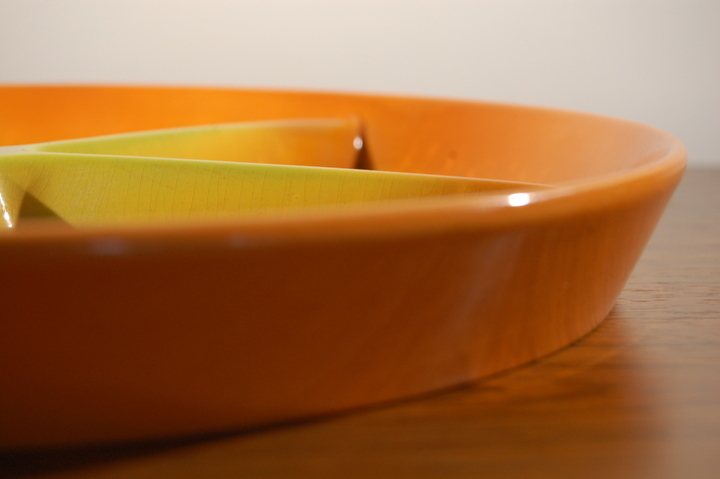 Classic retro/vintage shape/design and very collectable. 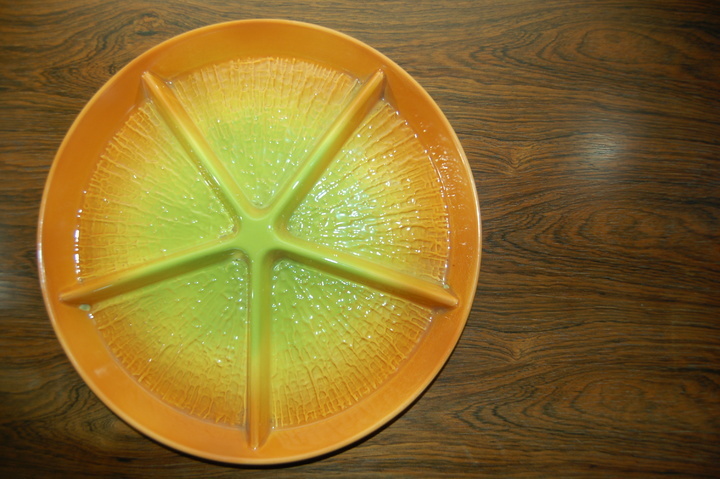 Sunglow colouring with orange fading into yellow then into lime-ish green. Textured bark-like pattern inside. 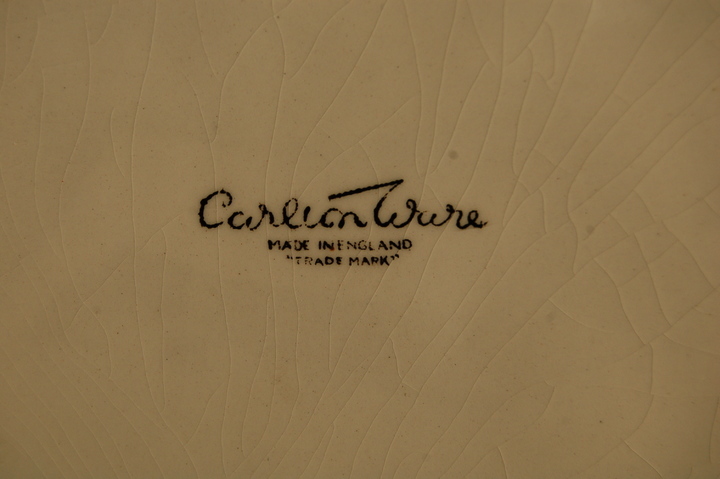 Marked 'Carlton Ware, Made in England, Trade mark' and stamped 2849 - the design/shape number which also dates it. A few signs of wear reflected in the price.